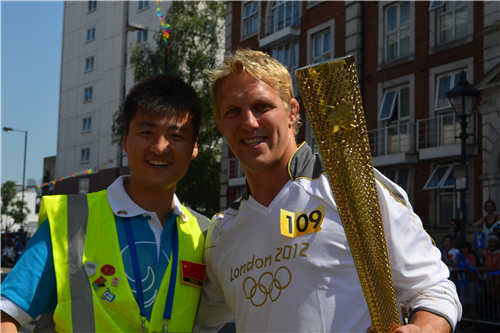 From July 22ndto July 23rd, The 5th China-Africa People’s Forum was held in Chengdu, Sichuan. The forum was hosted byChina NGO Networkfor International Exchanges and SichuanProvincial Government. DeputySecretary Li Jian attended the forum with stafffrom International Division under Beijing Volunteer Service Federation on invitation. GeneralSecretaryof Communist Party of China Central Committee and National ChairmanXiJinpingsent a congratulatory letter to the forum. National Vice Chairman Wang Qishan was present and gave out the keynote speech. Thechairman of Seychelles People's Party, National Vice President, Prime Minister of the Republic of CongoandSecretary of Sichuan Provincial Party Committee PengQinghua gave out speeches. 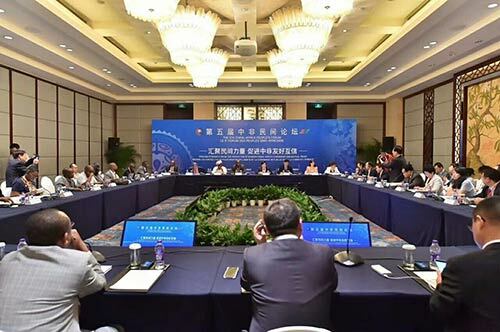 Leaders who showed up included Vice Chairperson of the Chinese People's Political Consultative Conference, President of China Promotion Council Sun Jiazheng, Minister of the International Department of the CPC Central Committee SongTao, Governor of Sichuan Provinceandso on. The theme of the forum is “ToCongregate the Non-Governmental Force, and To Promote the China-Africa Trust and Amity”, probing into the challenges occurring in the China-Africa non-governmental communication, and coming up with feasiblesuggestions. 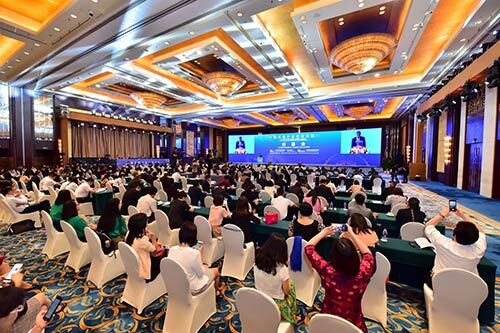 Approximately200 delegatesincluded senior administration officials from more than 30 Chinese and African countries and non-governmental organizations were present at the forum. 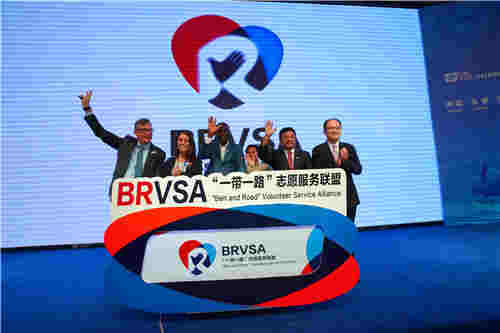 Deputy Secretary Li Jian was present at the forum with title of “Strengthening the Non-Governmental Communication, and Enlarging the Humanistic Base of China-Africa Cooperation”, and gave out a speech entitled “To Promote the China-Africa Volunteer Service to EncouragePeople-To-People Contacts, and To Build Together a Community of Shared Culture for Mankind”. 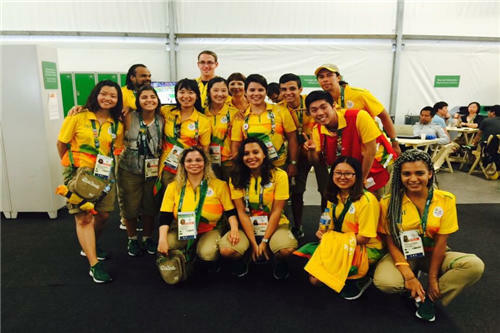 He attached great importance to the role of international volunteer service in promoting the development of Chinese and Africanyouth, thehumanistic communication and collaboration. Li Jian also put forward constructive advice speaking of the future China-Africa cooperation in volunteerservicefield, offering innovativeapproaches for cultivating a better atmosphere of trust and amity between China and Africa. His speech got high appreciation and warm response from other participants. 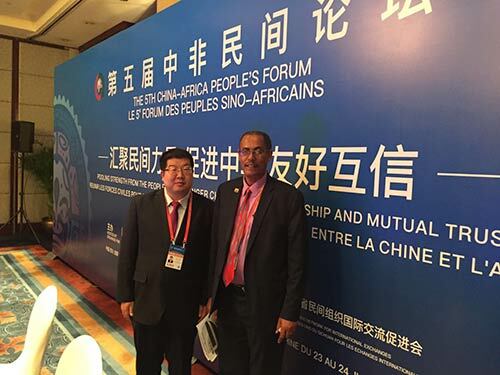 The China-Africa People’s Forum was foundedand is held by China NGO Networkfor International Exchanges, it is one of the significant institutionalizedevents of Forum on China–Africa Cooperation. 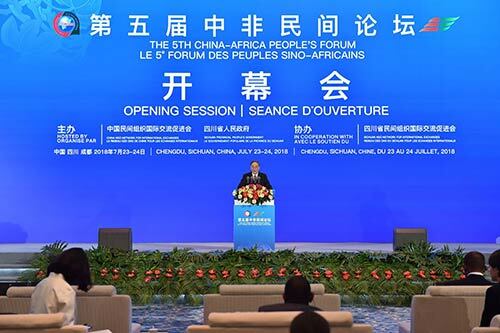 The Beijing Summit on China-Africa Cooperation is going to be held in September, inorder to coordinate which, China NGO Networkfor International Exchangeswillhold The 5th China-Africa People’s Forum from July 23rdto July 24th. 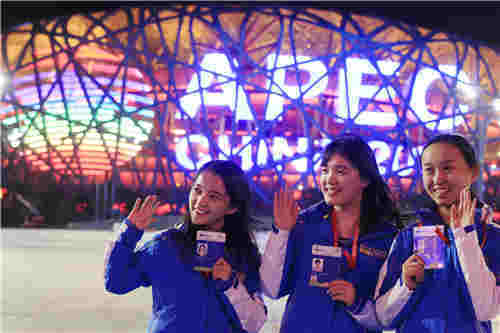 The former four rounds of the forum were held respectively in Nairobi(Kenya), Suzhou (China), Khartoum (Sudan) and Yiwu (China). Theforum established the three principles of China-Africa non-governmental friendship, “To Encourage China-Africa Friendship, To Propel Pragmatic Cooperation, and To Promote World Peace”. It hasgotten broad impacts athome and abroad, and has been playing a positive role in promoting the friendly communication and cooperation between China and Africa.